I’m happy, once in a while, to send you a poem I find meaningful. 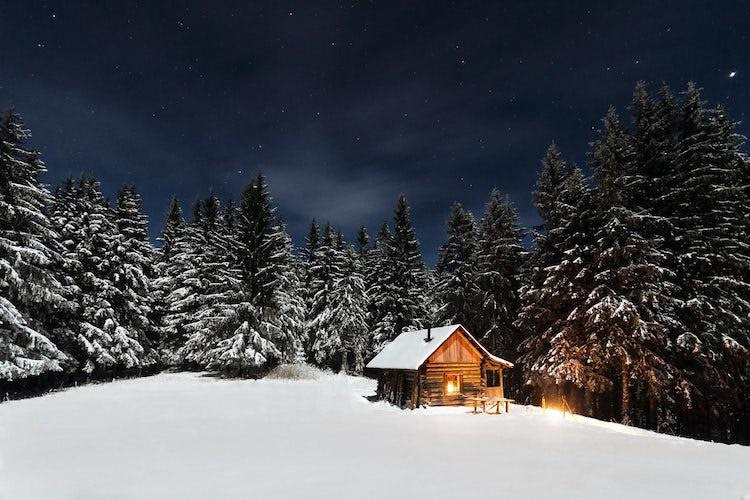 The sonnet below is intended to help us look at the inner “fires” of winter. Written by a poet who was friends with Emily Dickinson, it displays obvious similarities to the latter’s work. 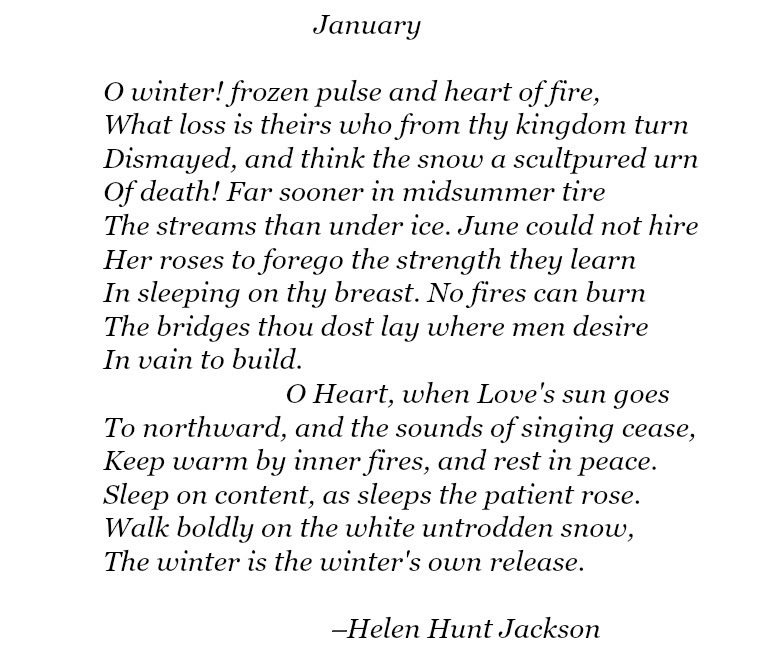 If you haven’t read anything by either of these special women writers, you will enjoy this poem by Helen Hunt Jackson even more–particularly now that we are deep into January. My husband confided to me that he didn’t “get” this poem, so I’ll offer a little reading assistance here for those of you more accustomed to the structure of a novel or news article: don’t think of the end of the line as the end of the “sentence.” If there is no punctuation there at the end, read through the line’s break to the word that begins the next one. Give this beautiful sonnet a try; it will stimulate your mind, like a jigsaw puzzle created out of words–and perhaps keep you warm in this first cold month of the new year.